(Al Jazeera News, 27 March 2013) North Korea has again threatened war against South Korea and the United States, saying conditions “for a simmering nuclear war” have been created on the peninsula. The communist state’s foreign ministry said it will inform the UN Security Council of the latest situation, as tensions continue to simmer on Wednesday. “Upon authorisation of the Foreign Ministry, the DPRK openly informs the UN Security Council that the Korean Peninsula now has the conditions for a simmering nuclear war,” the statement said. “This is because of provocation moves by the US and South Korean puppets”. As this developed, the North announced it was cutting a military hotline with the South, meaning that all direct inter-government and military contact has been suspended after it previously cut a Red Cross link. “From now, the North-South military communications will be cut off,” the North Korean state news agency quoted a military official as saying. In another sign of brewing tensions, a South Korean soldier standing on guard at the inter-Korean border threw a grenade towards a moving object in the dark early Wednesday, sparking a short-lived alarm. At daylight, a patrol searched the area but there was no trace of any infiltration from North Korea, a South Korean ministry spokesman said. A precautionary alert, which had been issued for South Korean units in the northeastern county of Hwacheon, was consequently lifted. Earlier in the day, the North had repeated threats to target US military bases. Pyongyang said its military would put all field artillery units, including long-range artillery units and strategic rocket units, into combat duty position that will target all “enemy objects” in the US, “invasionary” bases on its mainland, Hawaii and Guam. The rhetoric from North Korea drew more concern from China, Pyongyang’s only major ally, which said the situation was “sensitive”. In an interview with Al Jazeera, Leonid Petrov, a Korea expert at Sydney’s Australian National University, said North’s “attention-seeking behaviour” is in response to it feeling “cornered” by the international community. 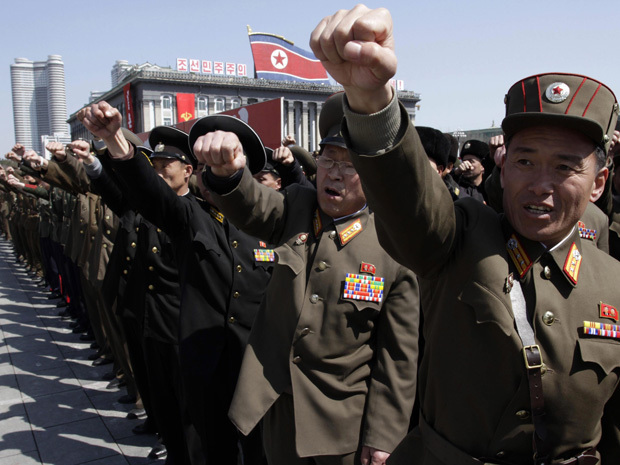 “The regime wants the people of North Korea to be consolidated behind its young leader Kim Jung-un,” Petrov said. 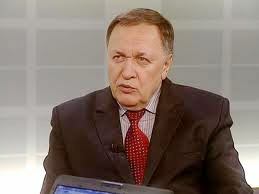 But Petrov also said he doubts the North will attack first, adding that its capability to target the US remains limited. Still, he warned that if something happens between the North and the US, “definitely Seoul is going to suffer”. On the other hand, Petrov said, the North is also hinting that it is ready to negotiate. “Pyongyang really want to have a peaceful, diplomatic solution to the growing problem,” he said. South Korea and the US military are conducting military drills until the end of April, which they have stressed are strictly defensive in nature. The North accuses Washington of war preparations by using B-52 bombers, which have flown over the Korean peninsula as part of the drills, and it has abrogated an armistice that ended the 1950-53 Korean War. (by Tania Branigan, The Guardian, 26 March 2013) North Korea said it had ordered its rocket and long-range artillery units to be combat-ready, targeting military bases in the US and American bases in the region, in its latest fiery warning. Pyongyang has issued stern admonitions and threats on an almost daily basis since the UN security council tightened sanctions over its latest nuclear test and the US and South Korea began joint military drills. “From this moment, the supreme command of the Korean People’s Army will be putting into combat duty posture No 1 all field artillery units, including long-range artillery units and strategic rocket units, that will target all enemy objects in US invasionary bases on its mainland, Hawaii and Guam,” said a statement from the North’s military supreme command, carried on the state’s KCNA news agency. The South Korean defence ministry said it was monitoring the situation but had detected no signs of unusual activity by the North’s army. Seoul and Washington say their current military exercises, which will continue until the end of April, are strictly defensive. “It’s attention-seeking behaviour. It’s like a child in a candy shop: if you haven’t bought him a lolly and don’t pay attention to his tantrums he tries to intimidate you with things – even if they are self-harming,” said Leonid Petrov, an expert on North Korea at the Australian National University. China’s foreign ministry spokesman Hong Lei told reporters at a daily briefing that it hopes all sides on the Korean peninsula can exercise restraint. Reuters reported last week that China did not export any crude oil to the North in February, the first such instance of its kind for a year, and there have been reports of tightened restrictions on trade. China is the North’s main ally and Pyongyang remains heavily dependent on trade and aid with its neighbour. But many analysts say it is too early to tell whether Beijing’s approach has changed and stress there is no sign of a fundamental or long-term shift in policy. “I think philosophically they don’t really like sanctions and when I talk to the Chinese none of them seem to think sanctions will work,” said John Delury, an expert on Chinese-North Korean relations at Yonsei University in Seoul. He noted that a clampdown on cross-border deals may be part of a more general desire to clean up trade, for example. But he added that ties between the two countries appeared weaker than they were towards the end of Kim Jong-il’s rule, probably reflecting Pyongyang’s concerns about the relationship as much as Beijing’s. “They were getting into a red zone where all the economic ties and diplomatic ties were with China,” he said. Despite the military alert, Kim Jong-un has found time for civilian-focused duties as leader in recent days, according to the North’s media. The Rodong Sinmun newspaper reported that in addition to his visits to the army, he toured a new restaurant boat on Sunday, “feasting his eyes on the deck and handrails around it” and expressing concern that the view and air-conditioning should be satisfactory. Listen to my interview given to RADIO JONES on Thursday, 28th March 2013, where I expressed my views on the ongoing stand-off between North Korea and the US-allied South Korea. Alternatively, tune in on “Listen Live” at www.talkfm.com/listen-live.html produced by Porcelain Audio. 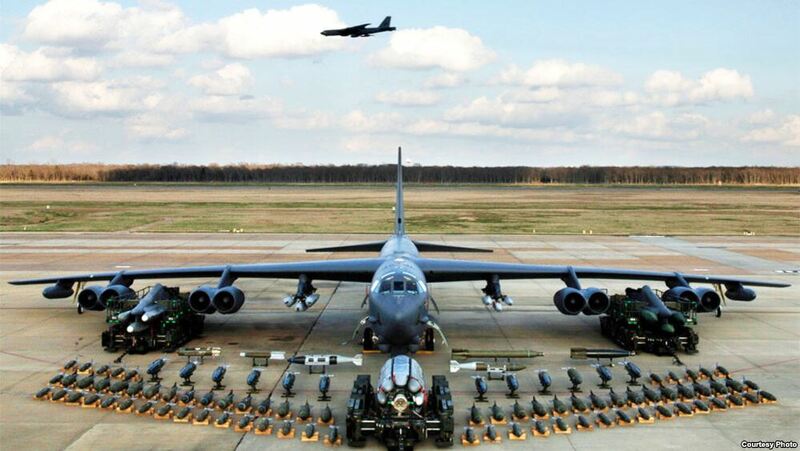 (VOA News, March 20, 2013) The United States has run its second training mission this month of the nuclear-capable B-52 bomber over the Korean peninsula in a show of military force following North Korea’s threats of a nuclear war. The U.S. Forces Korea says the B-52 Stratofortress practiced dropping bombs on targets at a range in South Korea, Tuesday. It also released several photos of the aircraft, along with the warning that U.S. and South Korean forces are “battle-ready and trained to employ air power to deter aggression” and defend Seoul against any attack. U.S. officials describe the mission, and an earlier one conducted March 8, as a “routine” part of annual joint military drillswith Seoul. But they have also been explicit that the flights are meant to send a strong message to Pyongyang, which has threatened a preemptive nuclear attack on the U.S. following U.N. sanctions the North’s latest nuclear test. Carl Baker, with the Hawaii-based Pacific Forum think-tank, says he is certain the North Koreans are paying attention to the drills and are “very familiar” with what the B-52 flyovers represent. “The United States is trying to send a very strong signal to North Korea that it is not going to bend; that it is not going to go back to negotiations just because North Korea has expressed commitment to using nuclear weapons,” said Baker. Leonid Petrov, a Korea researcher at the Australian National University, says he expects more of that kind of talk from North Korea, as a result of the B-52 missions and corresponding war drills. He thinks the exercises are further destabilizing the situation, leaving Pyongyang with little choice but to continue developing nuclear weapons to survive. Daniel Pinkston, an analyst for the International Crisis Group, says he is not sure whether the projection of American military power will be successful in reducing tensions on the peninsula. But, he says demonstrating U.S. military superiority will likely succeed in deterring North Korea from carrying out a nuclear attack. Pinkston says North Korea – which operates with the songun, or military first, ideology – is “very very cognizant” of the military balance between it and Washington. “When they know they will take a severe beating, then they will behave. But, when you are weak, they won’t behave – then they will use violence and force to push their agenda,” he added. The U.S.-South Korean military drills, known as Foal Eagle, began March 1 and are scheduled to last until the end of April. A separate, computer-simulated round of drills, known as Key Resolve, began on March 11 and last through Thursday. North Korea had threatened military action if the United States continues with the computer-based drills. Washington has disregarded the threat and proceeded as normal. Although Pyongyang claims to have scrapped the 60-year armistice deal that ended the Korean War, it is yet to follow through on its threats of violence. 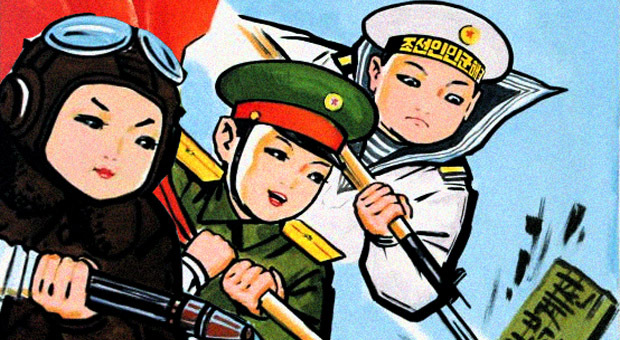 North Korea Film Event in Canberra (20th March, ANU) and Sydney (21st March, Sydney Cheil Church in Strathfield, and 22nd March, University of Sydney). 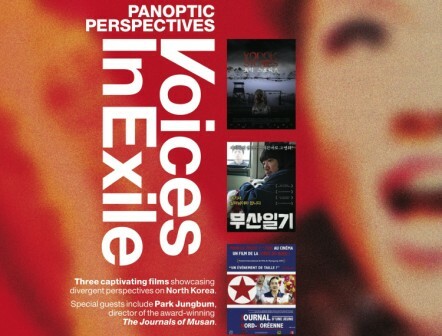 Panoptic Perspectives is the title of a two-day film event, organized by scholars from institutions in Sydney and Canberra, to be held in venues at the Australian National University, Cheil Church in Strathfield and Sydney University. The purpose of this event is to offer different perspectives on a phenomenon much discussed in the popular media, but rarely considered beyond the singular, highly politicized and bi-polemic story of good and evil, right and wrong – North Korea. Through the medium of film, and the discussion by guest speakers that will precede and follow each screening, it is hoped the audience will gain a more nuanced understanding of some of the issues surrounding ‘North Korea’ and the North Korean people. Director Park Jungbum said in interviews that he based the main character for The Journals of Musan (무산 일기) on a North Korean friend he met while at university in Seoul. The film highlights several important themes concerning the lives of North Korean refugees. Firstly, that arrival in South Korea is not the end of their struggle to find safety and security; secondly, for better of for worse, organized religion plays an integral role in the lives of these individuals; and thirdly, that ignorance is at the root of much of the prejudice that exists against North Koreans living in South Korea. The Journals of Musan is important in that for the first time, the South Korean public were offered a window into the lives of a few of the 24,000 North Koreans residing in South Korea, many of whom have been through indescribable hardships to arrive in their new home. For every artist whose career has advanced under the patronage of power, another risked life and reputation to present alternatives to the narratives of the state, whether through graffiti, subversive songs, paintings, or plays. In North Korea, where life is characterized by surveillance and control, such examples are rare. 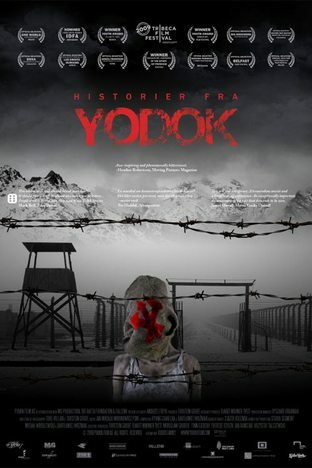 Yodok Stories, first staged in 2006, is perhaps the most famous example. This was a story crying out to be told: a concentration camp, in the early 21st Century, in the heart of East Asia. Although the idea for the musical came from Polish filmmaker, Andrzej Fidyk, its strength comes from the creative participation of so many North Koreans. Yodok Stories is a powerful corrective to the stereotype of defectors as passive victims. Although the bombast, blood and thunder of Yodok Stories might initially seem bizarre, or kitsch, the musical powerfully evokes the aesthetic of North Korean arts, notably the revolutionary operas The Sea of Blood and The Flower Girl. There are more than 24 million North Koreans alive today, and at least as many stories. Both at home and abroad, it is time they were told. One of the most successful films produced in North Korea, The Schoolgirl’s Diary is an attempt to resolve the growing conflict between selfish individualism and patriotic self-sacrifice. It chronicles a girl’s life through her school years: one that’s full of the peer pressure and family problems familiar everywhere. Echoing the Russian film Courier (Kuryer) (1986), which struck a chord in Perestroika- stricken Soviet Union, The Schoolgirl’s Diary views the grim realities of life through the eyes of a teenager. If something in the film turns out to be politically unpalatable, the immaturity of youth is blamed—not the film director. For a cash-starved North Korea, this film was an instant success. Viewed by some 8 million people in 2006, it received high praise at the international film festivals in Pyongyang and Cannes. Former basketball legend Dennis Rodman left North Korea today, calling the Kim family “great leaders” as he said goodbye to journalists at Pyongyang’s Sunan Airport. 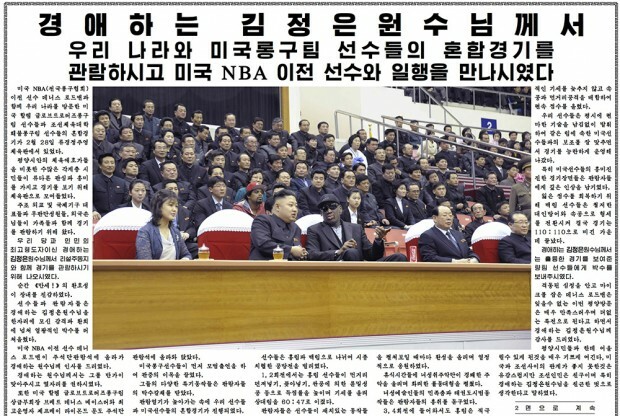 A picture released of Rodman’s farewell today showed Kim Jong Un hugging him, with North Korea’s world-famous basketball player Ri Myung Hun clearly visible in the background. As the only North Korean basketball player that an NBA team was ever interested in, Ri is known to be the world’s tallest basketball player, standing at nearly 8 foot tall. In an exclusive report for NK NEWS, journalist Nate Thayer yesterday described how the Rodman visit likely came to be. ”Kim Jong Un and his brother Kim Jong Chol are known to be ardent fans of American basketball, with Kim Jong Un reported to have had posters of basketball star Michael Jordan on his wall during his schooldays and his brother, Kim Jong Chol, once photographed in Switzerland wearing a Chicago Bulls jersey with Dennis Rodman’s number on it. Rodman’s visit comes at a sensitive time for South Korea and the United State’s relationship with North Korea. North Korea tested a nuclear device last month and launched a satellite into orbit, despite widespread international pressure against it. Currently, the UN Security Council is working to try and develop a suitable response to the third nuclear test.